Our shelter houses up to 75 women and children on any given night. They may stay with us for up to 30 days as they work to put their lives back together. 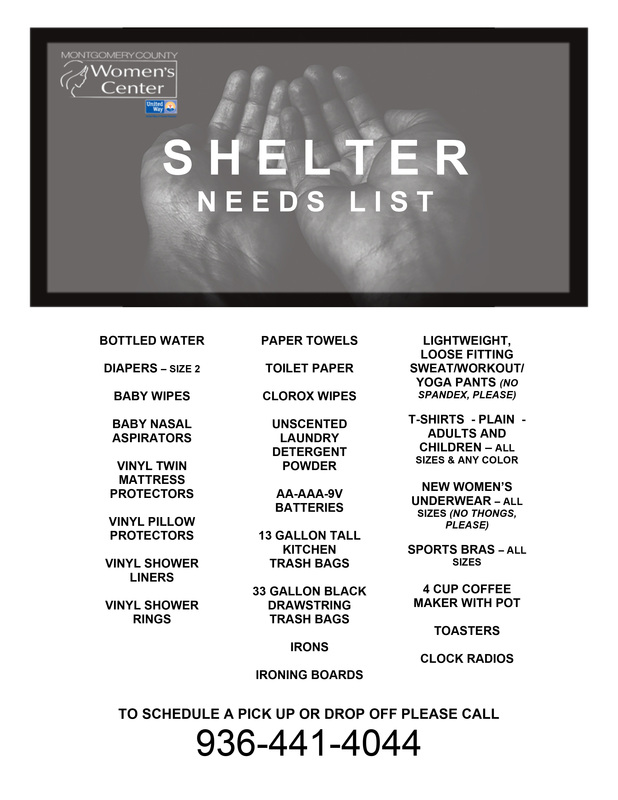 We have an ongoing need for many items. Our shelter director keeps us updated on items that are specifically needed. Below is a list of our most urgent needs. If you are able to help, please bring your donations to Something Special, and specify that the items are for the shelter. You may also drop items off at our Woodlands or Conroe offices, if that is more convenient and mark them for the shelter.